We all remember our GOOD teachers. Be sure that you get an early start on a GOOD teacher gift for all those GOOD teachers in your life! I wanted to create something that would be really pretty but also functional. So I decided to alter a clipboard and also a pen/pencil holder. 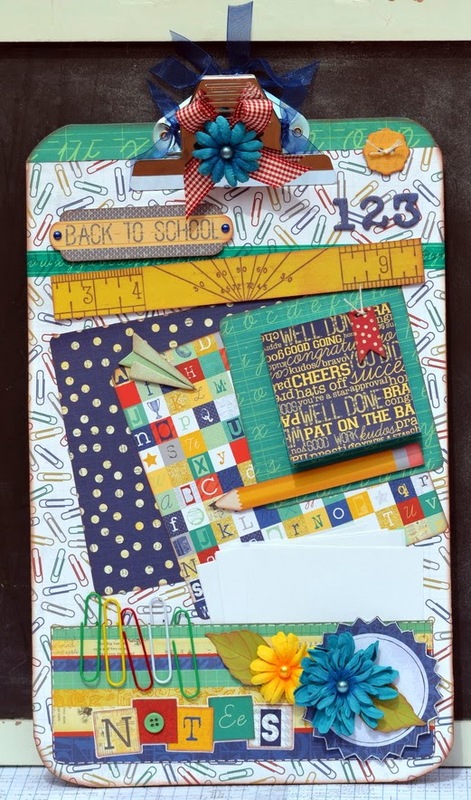 The clipboard holds a pad of sticky notes (the square just above the pencil) as well as the white little notes at the bottom and also the large paper clips. The bottom part of the clipboard is actually a little pocket and so really, a number of things can be held in there. 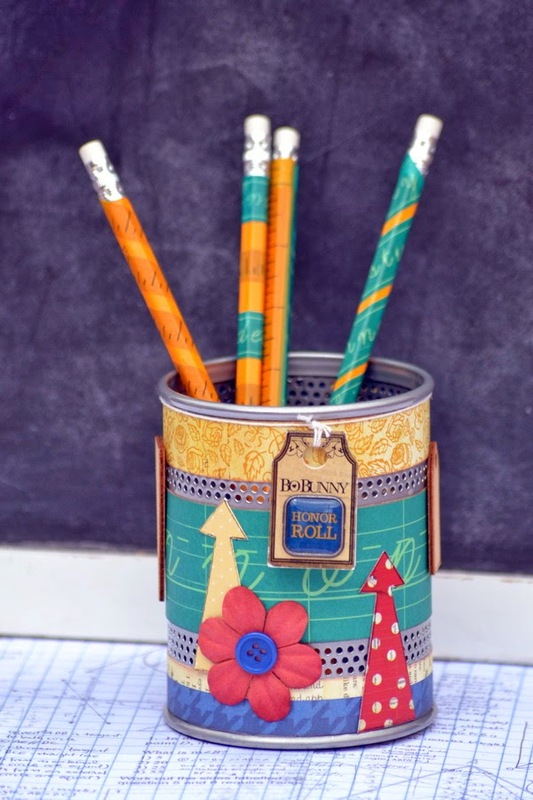 I used the gorgeous new washi tapes to decorate the pencils and then I altered the tin. I even re-used a really cute little BoBunny tag that had been on the Kraft burlap pleated lace. I will have to hide the pencils as my son has already had his eye on them. He says he loves the design on them and that they will come in very handy in his pencil box!!! Please pop on over to my blog here, if you would like to see some more details. 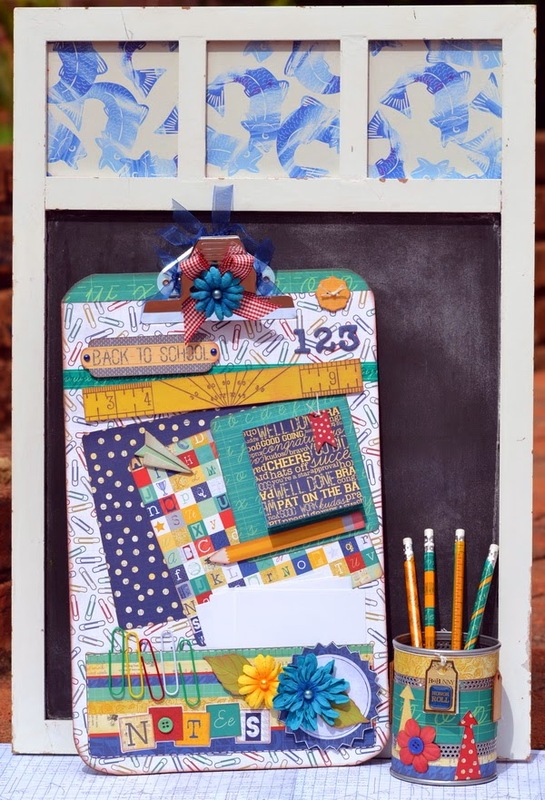 The Pop Quiz collection is full of vintage learning-themed goodies, perfect for getting a headstart on those end-of-year teacher gifts! At my kids' school, the teachers are always on the lookout for fun board games to add to their collection. 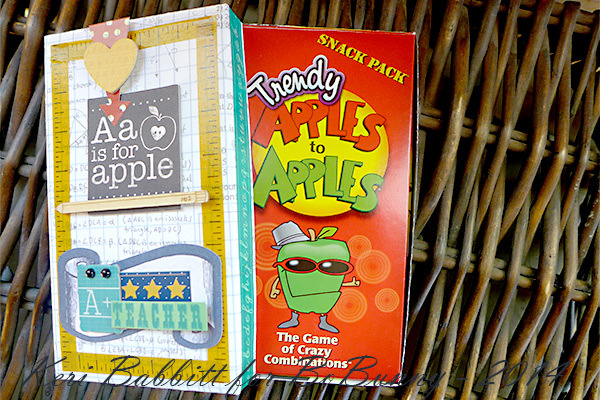 So, I created a little box, sized just right for an Apples to Apples snack pack card game. 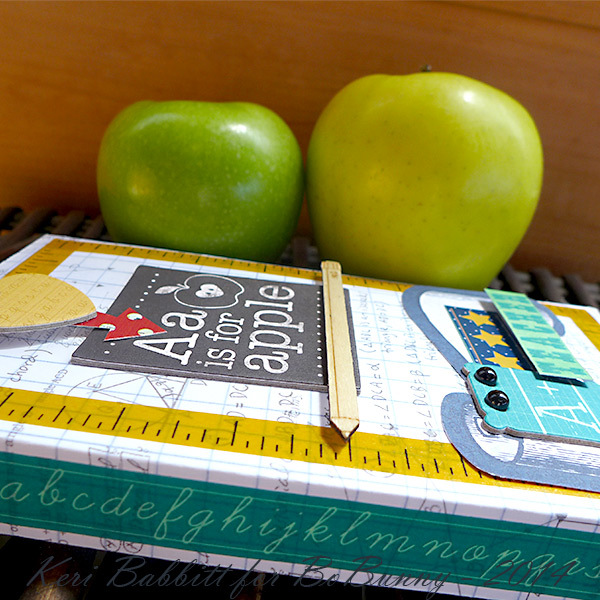 The new washi tape is a great way to trim out the sides and top of the box, and I finished off the project with some apple-themed accents, perfect for my daughter's A+ teacher! 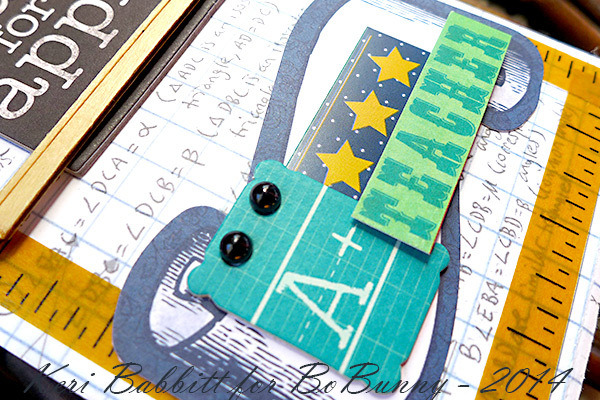 Denise, love the washi pencils and the pocket-function of the cute clipboard. Adorable gift ideas, and I think I'll make a washi pencil cup for my kids' homework station too! Thanks for the inspiration! You girls did an awesome job with these teacher gift ideas! I love them all!